The NRA offers a new website dedicated to the interests of hunters, particularly big game hunters. The NRAHuntersRights.org website offers current news items, gear reviews, and stories about hunts in the USA and abroad. There is also a Trophy Gallery and a state-by-state directory of Places to Hunt. The site also allows readers to share their views via a Hunters’ Blog and Forum. In the video, National Firearms Museum curator Phil Schreier explains that the 1895 Winchester accompanied the former commander in chief on a 1910 safari in Africa, as well as Roosevelt’s famed 1915 expedition to Brazil to find the source of the Amazon River. 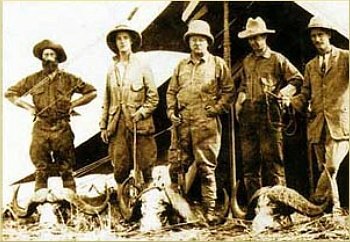 Roosevelt used his .405 to hunt moose, bear and elk stateside, too. Share the post "NRA Offers Website for Hunters"
Smith & Wesson has announced a recall of the bolts of all i-Bolt rifles manufactured by Smith & Wesson prior to December 1, 2008. This applies to all i-Bolt rifle chamberings. The potential problem is a flaw within the striker mechanism that would allow discharge without pulling the trigger. S&W’s recall notice explains: “A condition that may exist with the bolt supplied with some rifles that would allow the striker to become disengaged from its locking tabs during cycling of the bolt, allowing the rifle to fire without the trigger being pulled. In the interest of consumer safety, we are initiating this recall to allow for the prompt inspection and, if necessary, the repair and replacement of each bolt.” Owners need not return the entire rifle, but you may be asked to return your bolt assembly for inspection, and (if necessary), repair. 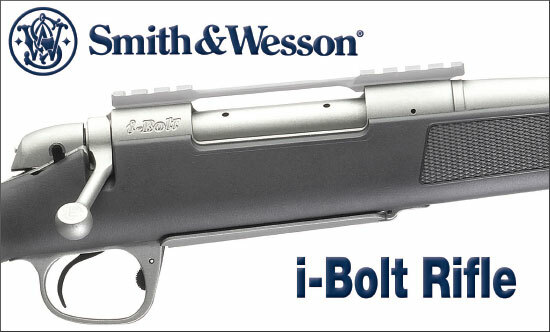 Smith & Wesson advises all i-Bolt rifle owners to contact Smith & Wesson directly at 1-800-331-0852 or send email to ibolt@smith-wesson.com to arrange for the inspection and repair, if necessary, of your bolt. You may also use THIS LINK to enter your i-Bolt return information. Smith & Wesson can then provide a prepaid UPS shipping form and shipping instructions. Share the post "Smith & Wesson Issues Recall of I-Bolt Rifles"
Share the post "The Year in Pictures on Boston.com"
Forum Member and Univ. of Wyoming college student Adam Teeter (aka “Cowboyarcher”) is building sets of ultra-light shooting sticks for hunters and varminters. The shooting sticks are made from camouflaged arrow shafts and 550 para-cord. Adam can build the sticks to your specs with a variety of para-cord colors: white, black, green, olive drab, tan, and dark brown (chocolate). Custom sticks (your choice of colors) cost $27.00 per pair delivered, and he has a few sets already made for $25.00. Buying a set of sticks would be a good way to help a young man finance his college education. Adam is currently studying Rangeland Ecology and Watershed Management. To order, contact Adam via email: teeteradam [at] gmail.com. Or you can postal-mail your order (with your specs and Postal Money Order) to Adam Teeter, 6011 Southview Rd., Laramie, WY 82070. For more information and photos, VIEW THIS FORUM THREAD in our Shooters’ Forum. 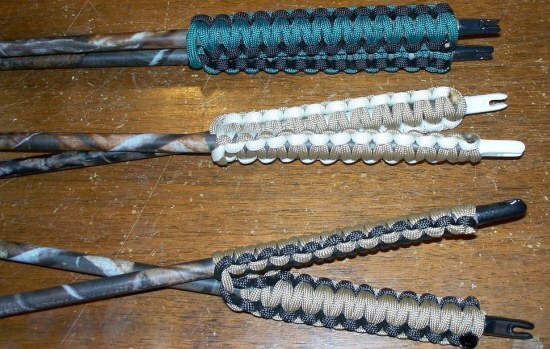 Share the post "Wyoming College Student Offers Custom Shooting Sticks"
To raise funds for this website, we are putting our 20 Practical AR “Ultimate Varminter” up for auction. This is a proven tack-driver, a one-of-a-kind special that you can’t buy from anyone else. Bushmaster, DPMS, Remington, Stag, Fulton Armory etc. 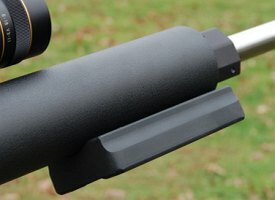 can’t deliver a rifle with a Bartlein barrel that absolutely hammers, and nobody else can give you a gun complete with bag-riders, side-charging handle, Jewell trigger, and GG&G extended site rail. The gun is essentially new, with less than 100 test rounds through the barrel. Send Bids to Mailbox@6mmBR.com. Minimum Bid is $1700.00. Auction Ends 1/9/09. CLICK HERE for Gun Specs and Auction Rules. If the truth be known, this rifle would be sitting in MY safe if California allowed me to purchase an AR15. But my loss is your gain. Minimum bid for this rifle is $1700.00. You’d have to pay a lot more just for the components. This rifle is a “dream to shoot” according to Robert Whitley. 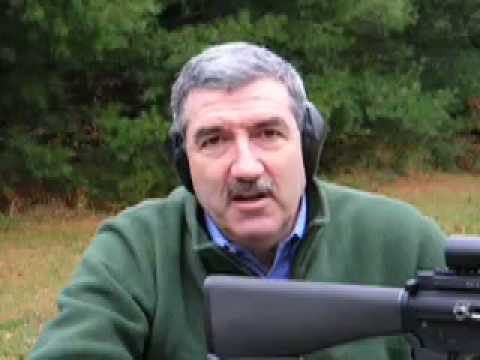 Robert says: “the recoil is almost non-existent. With the bag-riders, the gun tracks like it was on rails. No problem seeing your hits. And it’s incredibly easy to shoot really small groups. The last 5-shot group through the gun went into a measured 0.257″ and that’s with almost no load development.” In the video below, you can watch Robert shoot the rifle. The Auction closes midnight Eastern time, January 9, 2009. As noted, minimum bid is $1700.00, and an FFL is required for delivery. If you have any questions, send email to mailbox@6mmBR.com. We are currently involved in a major site upgrade that will provide many benefits for our readers. Older articles will be easier to find. Pages should display faster. The Bulletin will be more closely integrated with the site (with popular articles linked to the home page). The Forum area will be updated with a more sophisticated classifieds area. To put this all in place will cost many thousands of dollars. That’s one reason for this auction. Proceeds from the sale of the 20 Practical AR will be used to help pay for the site upgrade. Share the post "Tack-Driving AR Varminter Auctioned to Benefit Site"
Share the post "GUNSMITHING — Reference Articles for Home Smiths"
This fall, David Waters of Glenbrook, New South Wales, Australia, became the first non-American to earn the Distinguished Rifleman Badge. To accomplish this feat, Waters said he spent $45,000, traveled over 100,000 miles, and shot over 6,000 rounds of ammunition during 50 actual days of competition. That’s dedication! 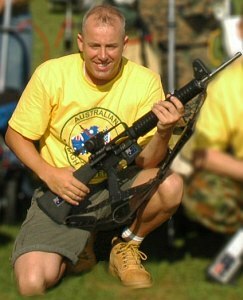 In fact, the born and raised Australian highpower shooter is the first non-U.S. citizen to achieve Distinguished Rifleman status according to contemporary records. Prior to the mid-1980s, National Match and Excellence-In-Competition (EIC) matches were open only to U.S. citizens. It’s believed that the regulation was relaxed when the military draft was replaced by an all-volunteer military. Waters clinched the prestigious award at the Texas State Rifle Association’s Excellence-in-Competition Match on 26 October, hosted by CMP and the Texas Army National Guard. Story by Steve Cooper from the CMP Online Magazine. Photos courtesy CMP, All Rights Reserved. 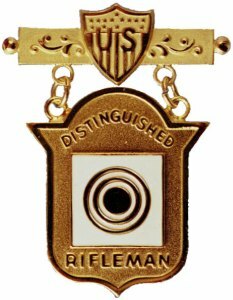 Share the post "Aussie Is First Foreigner to Win Distinguished Rifleman Badge"
The two-stage CG Universal Match Trigger has proven very popular with High Power and Long-Range Shooters. The CG-Jackson trigger is a Robert Chombart design, like the RPA Quadlock and the Millennium actions. The trigger’s final stage pull-weight adjusts from 10 ounces to over 63 ounces, and both a curved or straight trigger finger is offered. Notably, this new design works with a very wide range of actions, both custom and factory. 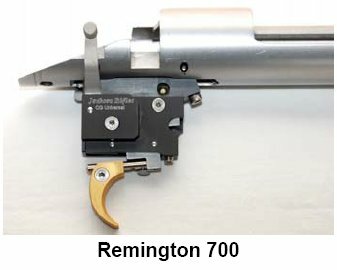 In addition to a Remington 700 version, for example, there are versions for Barnard, Mauser, RPA, SAKO, Tikka, and Winchester Model 70 actions. That makes this CG Trigger one of the most versatile match triggers ever offered. 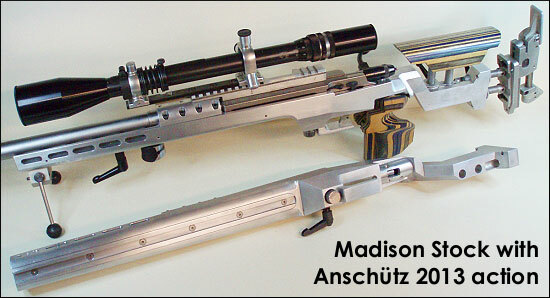 In Europe, the trigger is sold by Jackson Rifles. In the USA, the CG trigger is solf by Tom Myers, through his company X-Treme Shooting Products. German Salazar has tested the CG Trigger and written a detailed product review. CLICK HERE for CG Trigger Review by Salazar. The CG Universal Trigger uses a variety of upper frames to fit each specific rifle action. 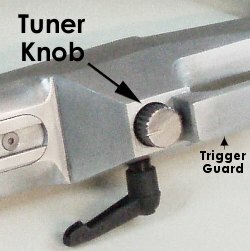 The upper frame contains the final lever(s) of the trigger. A universal main housing is attached to this upper frame. 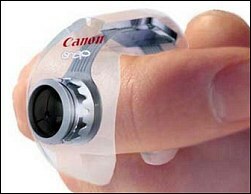 This ensures similar function, settings and “feel”, whatever action the trigger is fitted to. The CG Universal is a true two-stage trigger, so that (unlike modified direct-pull triggers fitted to some “tactical” rifles), the sear engagement reduces and fully recovers with the first-pull movement of the trigger finger. 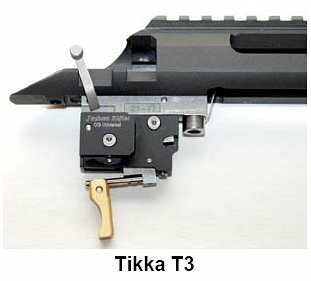 The CG Universal trigger system was designed by Robert Chombart, who also designed the CG MILLENNIUM, CG INCH and other target rifle actions. Share the post "CG Trigger for High Power and Long-Range Rifles"
We also want to thank the many individuals who help this site by donating time and effort and/or writing articles. This includes Jason Baney, Vince Bottomley, John Brewer, Mike Bryant, Brand Cole, Richard Franklin, Speedy Gonzales, “Graymist”, Dan Lilja, Bryan Litz, Chris (“Techshooter”) Long, Larry Medler, Danny Reever, German Salazar, Jerry Tierney, and members of the USAMU. We also want to acknowledge the dozens of fine shooters who have helped us with the Guns of the Week features. They have spent much time and effort to bring you their stories and photos. And we want to say thanks to our commercial sponsors that have supported the site through advertising or donated items for auction this year. Share the post "Happy Holidays to All our Readers"
Ho, Ho, Ho and FREE BEER for You! 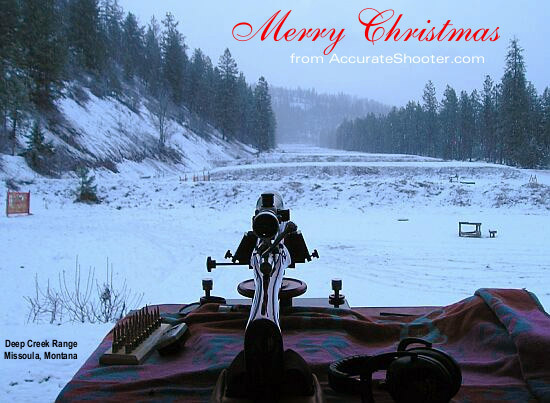 AccurateShooter.com sends our best holiday wishes to our many readers worldwide. (According to Google Analytics, over 50,000 shooters worldwide access our site every week.) 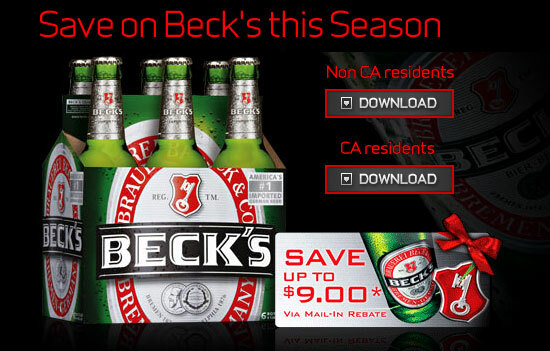 To make the holiday season a little more festive, we found a promotion that will give you FREE Beck’s BEER. That’s right, if you pay for a six-pack of Beck’s beer, the brewers will refund your purchase price up to $9.00*. What’s the catch? You have to purchase the beer first, then mail in your sales receipt, the barcode (UPC) label from the package, and a Rebate Form. Mail-in deadline is 1/19/2009. Also, in some states the offer is not valid (Sorry Guys… complain to your state legislators). But otherwise, this is a bonafied deal. Free beer for the holidays… what’s not to like? *Via mail-in rebate. Rebate amount will be equivalent to purchase price, excluding sales tax, not to exceed $9.00. Purchase must occur between 12/8/08-1/5/09. Offer good to residents of AK, AZ, CA, CO, CT, DC, DE, FL, GA, IA, ID, IL, MA, MD, MI, MN, MS, MT, ND, NE, NH, NM, NV, NY, OH, OK, OR, RI, SC, SD, TN, VA, VT, WA, WI, and WY only. Request must be received by 1/19/09. Share the post "Ho, Ho, Ho and FREE BEER for You!" Retail sales are down this holiday season, but that means deep discounts on quality products. Many major vendors have commenced “rock-bottom” selling programs, starting today, on Christmas. We’ve been impressed by some of the special sales at Cabelas.com. Here are some of the hottest deals we’ve found at Cabelas.com. Click the “Hot Buys” link at left to get the lowest prices. OK, folks, if you’ve been waiting for a name-brand, GPS-enabled automotive Navigation system to drop below $100, here it is. 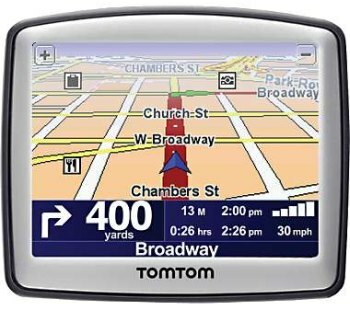 The TomTom 125 features GPS Navigation with spoken turn-by-turn directions. It has a full-color touch screen with bright, sunlight-readable displays and comes pre-loaded with detailed maps of the USA containing millions of points of interest. The unit can easily be moved from vehicle to vehicle, and it comes with USB ports so you can load software updates from your home computer. All in all, this is an amazing piece of technology for $99.99. 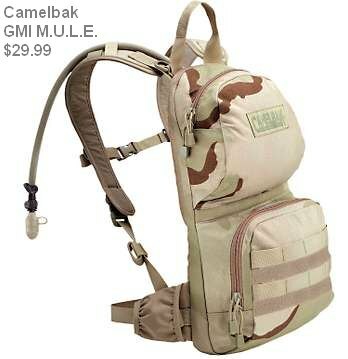 Cabela’s has posted an amazing price on the Camelbak GMI M.U.L.E. pack with hydration system, item 1AJ-518787. Right now the Camelbak M.U.L.E. is just $29.99. These are very high-quality packs that sell elsewhere for $95.00 or more. The hydration pack is offered in desert camo or woodland camo. The pack is 19″ x 10″ x 5″, and features 540 cubic inches of cargo space with a 100-ounce Omega Water reservoir. This is a great two-lamp deal for a lot less than you’d expect to pay for a Xenon tactical lamp by itself. The 10-lumen Renegade Headlamp (top) boasts five LEDs (two white, two red and one green) making it ideal for close-up lighting. Use this outdoors, when working on a car, or for extra illumination in your workroom. 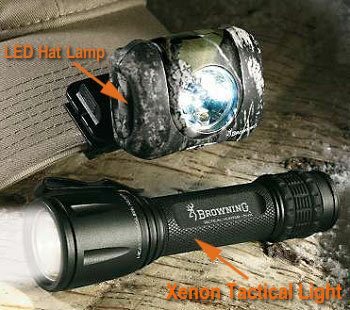 The rugged, Tactical Hunter Flashlight features a high-output, 80 lumen, Xenon lamp. It includes a belt clip and armored end-grip. Two included lithium batteries provide up to 1.5 hours of illumination. Share the post "Super Deals: $100 Nav System, $30 Camelbak and more"
We’ve looked through many different types of spotting scopes. Initially we thought angled was the only way to go. 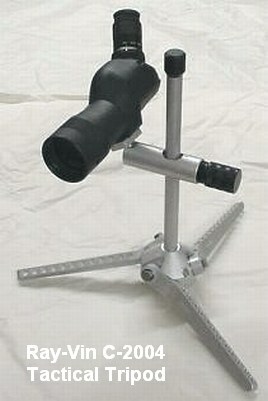 This lets a shooter mount the spotting scope at his side and easily glance through the lens with the scope body rotated 30 to 90°. However, at matches where you spot for a partner, the straight scopes seem to work better. You don’t have to bend your neck down or remove your hat and your “free” eye can scan downrange for wind changes. When spotting for your partner (while seated or standing), a tripod-mounted straight scope was definitely the most “user-friendly” set-up. It you plan to use an angled spotting scope on the bench, Ray-Vin has a great clamping system that allows you to position the eyepiece exactly where you want it. The clamp mount Ray-Vin Benchrest Scope Stand allows you to easily adjust the scope height and horizontal position relative to the shooter. A twist handle with a ball joint on the end then lets you set the scope (and angled eyepiece) to any angle you want. It’s a very slick system. 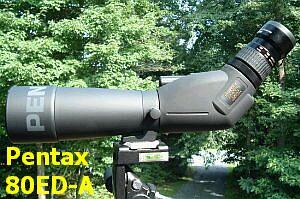 At $199.00 for the complete system (not including scope) shown below left, it’s not inexpensive. 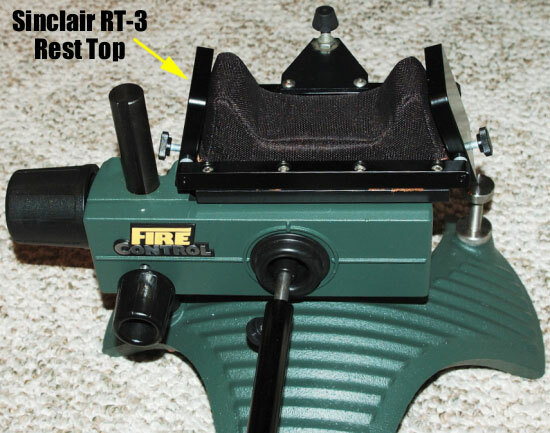 However, if you already own a Ray-Vin scope head with ball joint, the Benchrest Clamp is just $119.00. 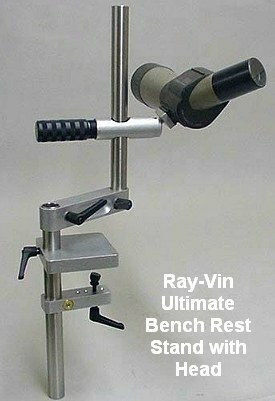 Another option for bench use is the Ray-Vin C-2004 “Tactical Tripod” (photo below right). This low-profile, $199.00 unit can be used on the bench or on the ground. Note: the Tactical Tripod uses a 3/4″-diam. vertical shaft, while the Benchrest Scope Stand has a 1″-diam. vertical shaft. 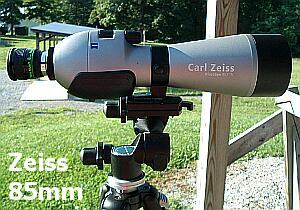 Accordingly, the scope heads are not interchangeable between the two units. Share the post "Spotting Scopes — Straight vs. Angled"
We just received news that Bruno Shooters Supply has approximately 400 pounds of Alliant Reloder 17 in one- and five-pound jugs. Brunos also received a large shipment of the hard to find Federal 210M primers. 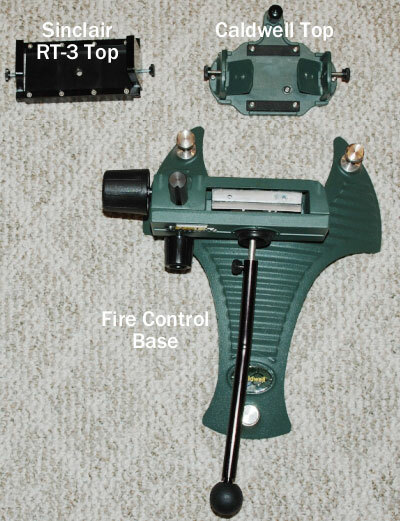 Call Amy at Brunos, 1-800-455-0350 or (623) 587-7641, and mention AccurateShooter.com. Forum member G. Wood also reports that Grafs.com received a large quantity of Reloder 17 on December 22, 2008. If you’ve been looking for Reloder 17 you may want to act quickly. The last shipment sold out in a short period of time. Share the post "Brunos and Grafs have Reloder 17 Powder in Stock"
The NSSF, through its “Step Outside” program, suggests you invite someone to go hunting or shooting this Holiday season. For those last-minute shoppers struggling to find a gift, there’s always the gift of hunting and shooting. Through NSSF’s StepOutside.org web page, visitors can now deliver that gift in the form of an invitation to go hunting or shooting. Your e-mail invitation will feature an outdoor photograph with a personalized message from you. 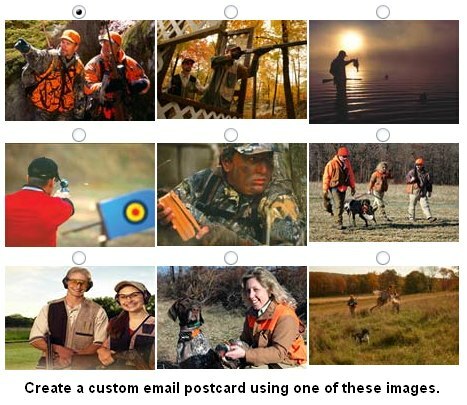 CLICK HERE to Send a Hunting/Shooting Invitation to Friends or Family. If you go on a shooting excursion before the end of the year (Dec. 31, 2008), you can enter the Step Outside Sweepstakes, and get a chance to win one of five $1,000 gift certificates to Bass Pro Shops. To be eligible, you must “mentor” a new shooter and complete a survey describing your experiences. Submission Deadline is January 1, 2009. Share the post "Send Custom E-Mail Postcard with Shooting Invitation"
Yep, there’s only two more shopping days left before Christmas. 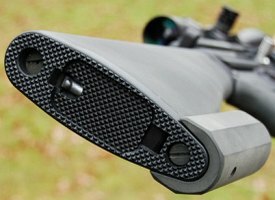 If you didn’t order months ago, Santa probably won’t arrive with a new gain-twist barrel, carbon-fiber stock, custom action, and 10-40×56 Benchrest scope on Christmas day. The expensive goodies required advance planning. However, there’s still time to do some online shopping for other gun gear, with delivery later this week. 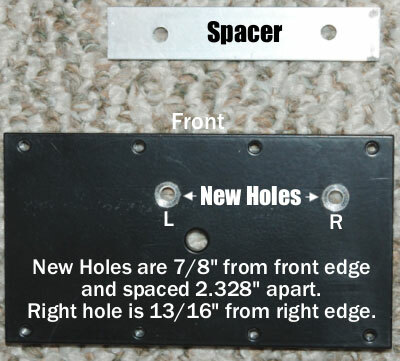 • Hood Kwik Estimator — Use this handy $2.50 tool to measure your 6mm groups. Bracket the group within the diverging lines of the Kwik Estimator to get a close approximation of group size. • Hornady Comparator body with Comparator — This simple device, mounted on your calipers, lets you measure the base to ogive of your bullets, or bottom of rim to ogive of your loaded rounds. A “must-have”. • Pin Vise with #53 Bit — This will let you clean up the flash hole of Lapua PPC and BR cases. The number 53 bit measures .0595″, the perfect size for the .059″ BR flashholes. • Ballistol — Extremely versatile, non-toxic case cleaner/lube. Use this to remove the carbon from the necks of your cases. It is also an outstanding case lube for regular resizing of small cases. • CARB-OUT — The product name explains its function. The stuff plain works on carbon–as well or better than anything out there. • Eezox — This product outperformed Break-Free and most other rust preventatives in our tests. It displaces water and leave a dry barrier on the surface of metal. Use it on your barrels, dies, and tools. • Kroil — A classic penetrating lube, Kroil has myriad uses in the reloading room and home workshop. It can be combined with other solvents and used for bore cleaning. • KG12 — Tests have shown KG12 to be a super-effective copper cleaner. It works fast and there’s no ammonia smell. Should you dump your other bore cleaners? No. But we recommend you give KG12 a try. For more Holiday shopping ideas, check out our 2006 Holiday Buyers’ Guide. In that story we recommended dozens of products ranging in price from $1.99 to over $2000.00. While prices have changed since 2006, you’ll still find many bargains among the featured items in the Buyers’ Guide. 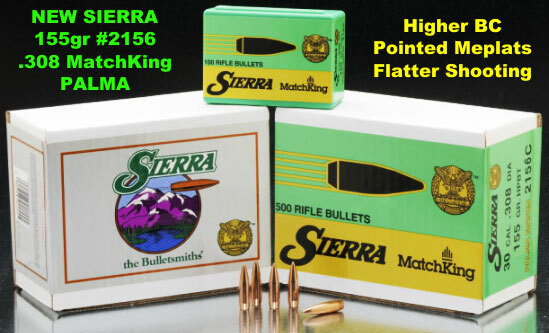 Share the post "Last Minute Stocking Stuffers For Shooters"
Sierra Bullets has introduced a new .308-caliber MatchKing bullet, the model #2156, 155-grain HPBT Palma. 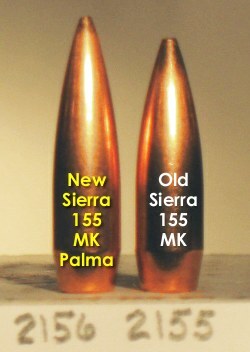 This is an entirely new bullet created for Palma and other long-range shooters. Compared to the older #2155 MatchKing bullet (which will still be available), the new #2156 Palma bullet has a longer, more streamlined 9-caliber ogive, slightly longer OAL, and a pointed meplat. This is the first Sierra bullet to have the meplats “pointed up” at the factory. Sierra points the tips using a special extra die as the last stage in the production process. Sierra’s new 155-grainer will be offered in boxes of 100 bullets (stock #2156, $38.89 MSRP), 500 bullets (stock #2156C, $180.46 MSRP), or 500 moly-coated bullets (stock # 2156M ,$203.81 MSRP). For more info, contact Sierra at 1-800-223-8799 or email sierra [at] sierrabullets.com. “I loaded the old Sierra 155s, the new pointed Sierra 155s, and the Berger 155.5-grain bullets to shoot one each in the three targets of five- and ten-shot groups. All were loaded with 47.0 grains of Varget (2007 lot), the bullets were loaded to jump 0.018” for the Sierra 155, 0.010″ for the new Sierra 155s, and 0.021″ for the Berger 155.5s in Lapua cases. The MV is in the 3030 fps range. I shot the bullets in this order: Sierra 155s, new Sierra 155s, and the Berger 155.5s in each of the three matches of light and heavy guns. The total round fired was 45 for score and 37 sighters for a total of 82 rounds. NO ILL effects were seen between the different bullets with no cleaning of the barrel. Temperature range was 73 to 80 degrees under our covered 1000-yard firing points. The wind changes were such that you could not compare the bullet wind drift, but the vertical showed the new Sierras were very good. The best vertical shot today was with my test rifle. I was first in the Light Gun three-target aggregate for score and third in single Light Gun score and the six-target aggregate score. Share the post "Sierra Introduces New .308 155gr Palma Bullet"
Call it “paranoia” or call it “sensible preparation”, gun owners nationwide have been stocking-up on ammunition and loading components, particularly for .223 Rem and .308 Winchester. This has created shortages in supply, with the predictable price increases. Fortunately, Grafs.com has large supplies of Lake City .223 Rem Brass. This is good quality stuff, made by Federal at the Lake City ammo plant. The .223 Rem brass starts at $22.99 per hundred. If you’re looking for loaded ammo, Grafs.com has the excellent Prvi Partizan .223 Rem 75gr HPBT match ammo for $10.99 per 20-ct box (item PPA223MATCH). Forum members have tested this ammo in fast-twist .223 barrels and found that it shoots very well. Grafs.com also has PRIMED Federal Lake City .308 Win Brass starting at $39.99 per hundred. Share the post "Grafs has Federal Lake City Brass in Bulk"